Covering an area of 35.20 km2，Mt. Yuelu Scenic Spot consists of Mt. Lu, Mt. 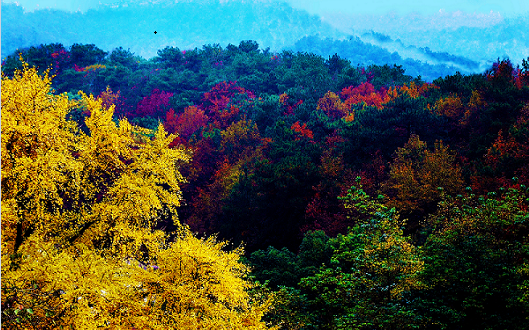 Tianma, Juzizhou, Taohualing, Shijialing, Zhaiziling, Houhu and Xianjiahu Scenic Spot. The protection area in the perimeter of Mt. Yuelu Scenic Spot is planned at 22.68 m2. At present, the construction of Mt. 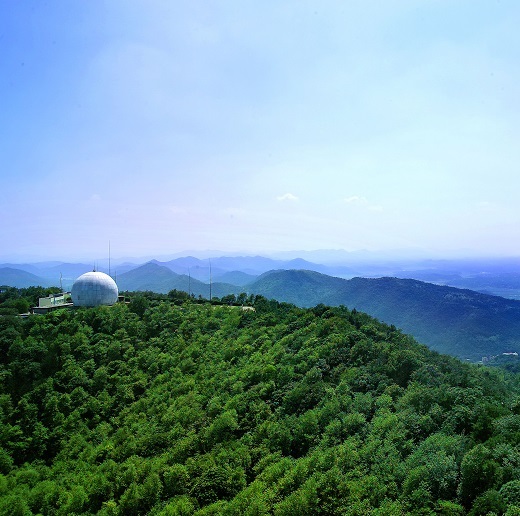 Lu and Juzhizhou scenic spot has finished while that of the Mt. Tianma is ongoing. Juzhizhou and Mt. Lu scenic spots were separately rated as national AAAA scenic area in 2001 and 2002. Located on the Xiang River in Changsha among the first batch of national historic cities, Mt. Yuelu Scenic Spot is close to the river and faces the city. Now, Mt. Yuelu Scenic Spot has four core scenic spots, including Mt. Lu Scenic Spot, Juzizhou Scenic Spot, Yuelu Academy, Xinmin Institute. Integrating ‘water, mountain, islet, city’, Mt. Yuelu Scenic Spot is the national AAAA scenic area, the national key scenic, Hunan culture spreading base and patriotic education base. Mt. Yuelu Scenic Spot not only possesses the unique natural landscape of ‘water, mountain, islet, city’, but also is well known for its profound historic and cultural background. Dating from Northern Song Dynasty, Mt. Yuelu Scenic Spot has a history of more than a thousand years and thus is called the one-thousand-year academy. Up to now, Ancient Mt. Lu temple has a over-1700-year history. In the Mt. Yuelu Scenic Spot, there are the Mausoleums of Huangxing, Cai'e and other celebrities and a great many culture relics. With the Huxiang culture, notable culture and religion culture gathering here, Mt. Yuelu Scenic Spot has a profound and ever-lasting influence. In recent years, at the chance of building “energy-saving and environment-friendly society ” advocated by Changsha municipal committee and government, Mt. Yuelu Scenic Spot promotes the comprehensive improvement and the quality reform, strengthens standardized management and civilization and trys to set up a high-quality scenic spot with excellent plan, top-class scenic area, standardized management and wonderful service. The scenic spot takes on a new aspect. It has become the window and the excellent business card of Changsha to the outside world.